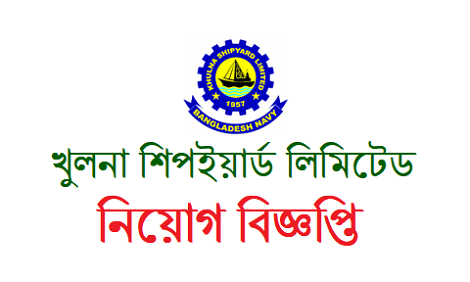 Khulna Shipyard Ltd, Khulna, and the repair and maintenance of a ship operated by the Bangladesh Navy owned by the Bangladesh government under the ownership of the Bangladesh government. It creates Padma-class offshore patrol ships for the Bangladesh Navy. Two Durjoy-class LPCs are under construction. It has created five petrol pumps and two container vessels for Bangladesh Navy. Good news, recently the organizations are looking for job holders at different positions for the vacant vacancies of their organization. However, if you think of all the details below as the right candidate for this job, you can submit your application to maintain their guidance. 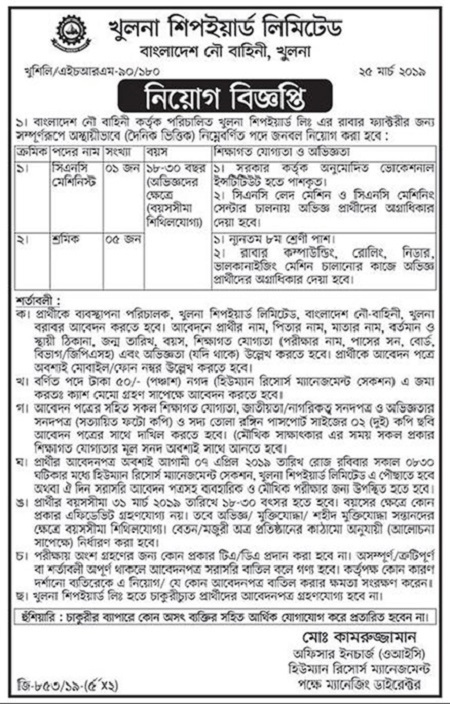 Khulna Shipyard Limited Job Circular 2019 has been published by their authority in daily online job portal and to get from the best jobs circular website in Job Search BD www.jobsearchbd.com. ■ Job Location: See Job Notification Image. ■ Experience Requirements: See Job Notification Image. ■ Age limit for work: 18 to 30 years. ■ Application Process: See job notification image below.